PhocusWire was the first industry publication breaking the news last week that Airbnb was acquiring online travel agency HotelTonight. In my view, this is another step on Airbnb’s warpath to turning itself into a full-blown online travel agency. But, we have to ask: Why does Airbnb want and need to become an OTA? 1. First mover's advantage is over. Fierce competition by the mega-OTAs in the alternative accommodations sector. Booking.com has more private accommodations than Airbnb, and 100% of these are bookable in real time vs. Airbnb’s 50% bookability. Booking.com and the other OTAs are quickly transforming the alternative accommodations sector from a very complicated, manual and expensive exercise (remember the breakage fees every vacation rental owner used to charge?) into a simple real-time booking process, not different from how travelers book hotels online. 2. Unchecked rental unit growth is over. Continuing legal battles of local municipalities vs. Airbnb practically in every single metropolitan area around the globe, from New York City to Barcelona to Tokyo. Airbnb feels squeezed from all fronts and realizes that their unit growth will be further curtailed by local regulators. 3. Guest fees are over. Booking.com is setting the tone toward the elimination of guest fees. Airbnb’s business model of charging both host fees (4% to 8%) and guest fees (6% to 10%) is over, due to Booking.com’s not charging any guest fees. Hosts list their units on Airbnb and multiple OTA and distribution sites, and travel consumers can easily see that Booking.com is not charging any guest fees vs. Airbnb or HomeAway. Hosts pay more to Booking, but typically Booking brings overseas clientele with longer stay, so this compensates for the higher commissions. Remember what happened to airline ticket service fees all OTAs used to charge travel consumers? Priceline at the time eliminated the fees, and all OTAs followed suit. The same will happen here with the guest fees, and Airbnb is looking for additional revenue sources, hence their incursion into hotel bookings. 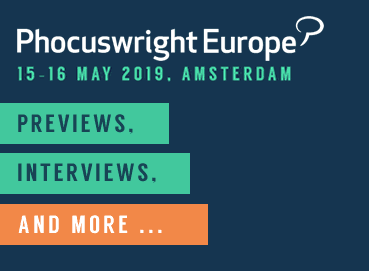 Airbnb's managing director EMEA will speak at Phocuswright Europe 2019 - May 15-16, Amsterdam. What does the HotelTonight acquisition bring to Airbnb? This acquisition is not about some special kind of hotel CRS technology: HotelTonight still uses manual extranet to access hotel inventory for many of the hotels using this channel. Nor is it for HotelTonight's mobile app or marketing prowess - Airbnb has all that. It is not about some steady access to hotel supply: HotelTonight has very tenuous relations with the industry at best. A discounter like HotelTonight cannot brag of solid and lasting industry relationships with hoteliers, same as other discounters like Hotwire. The winners? The HotelTonight principals and VC investors, who are cashing out very nicely, indeed, and even getting pre-IPO shares in Airbnb. These are short-lived, fleeting relationships with several thousand hotels worldwide, so I would not consider this being a major asset. On top of that, Airbnb knows that many hotels will abandon HotelTonight now that it has become part of Airbnb, whom hoteliers accuse of “stealing” travel demand and diverting traditional hotel customers to private accommodations. HotelTonight’s open discount business model is the main reason why very few hotels have ever worked with this OTA player, primarily misguided independents without any revenue management strategy in place. Most major hotel chains have been avoiding HotelTonight as a distribution channel for years. Last-minute discounting is against not only rate parity contract provisions with the OTAs, but best revenue management practices as well, which does not allow the vast majority of hotels to even consider working with HotelTonight. 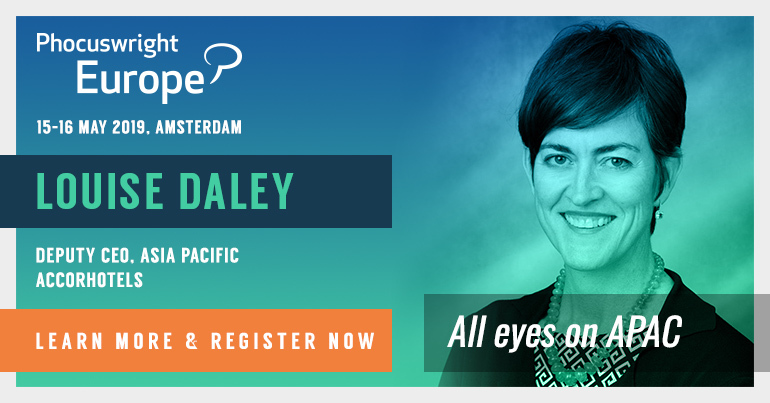 What is next for Airbnb on their long and winding road to becoming a full-fledged OTA? Booking.com offers real-time bookability to over 1.1 million hotels and Expedia to nearly one million hotels vs. Airbnb's 30,000-plus hotels. Contracting, building relationships with and achieving real-time bookability with one million hotels is a super daunting task that would require huge investments in technology, personnel, know-how, B2B marketing and consumer advertising. Booking Holdings has 20,000 employees in 120 countries and territories, many of them seasoned hotel revenue management and hotel marketing professionals. Airbnb has just a few such experts on staff. Airbnb needs to acquire local sales and customer support offices and staff them with industry-trained professionals in the thousands, which is a very expensive exercise and is contrary to their current “light touch” business model. For 20 years now, Booking.com and Expedia have mastered hotel tech and the ins and outs of the disparate hotel tech legacy systems: PMS, CRS, channel managers, etc. Airbnb has very little expertise here, and only a handful of APIs to channel management platforms and CRS. TripAdvisor found all about this hotel tech complexity with their failed Instant Booking initiative. Is Airbnb going to be better off with the HotelTonight acquisition? I am highly skeptical that HotelTonight’s acquisition can fill any of the major gaps Airbnb has in its transformation into an OTA. More acquisitions, investments and time are needed. So this acquisition has always been all about the pre-IPO message. So who is the winner from Airbnb's acquisition of HotelTonight? The HotelTonight principals and VC investors, who are cashing out very nicely, indeed, and even getting pre-IPO shares in Airbnb.